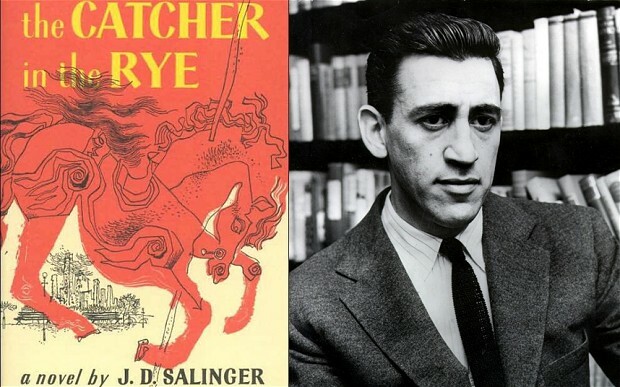 Catcher in the Rye dropped from US school curriculum - Oh No They Didn't! Schools in America are to drop classic books such as Harper Lee's To Kill a Mockingbird and JD Salinger's Catcher in the Rye from their curriculum in favour of 'informational texts'. American literature classics are to be replaced by insulation manuals and plant inventories in US classrooms by 2014. A new school curriculum which will affect 46 out of 50 states will make it compulsory for at least 70 per cent of books studied to be non-fiction, in an effort to ready pupils for the workplace. Books such as JD Salinger's Catcher in the Rye and Harper Lee's To Kill a Mockingbird will be replaced by "informational texts" approved by the Common Core State Standards. Suggested non-fiction texts include Recommended Levels of Insulation by the the US Environmental Protection Agency, and the Invasive Plant Inventory, by California's Invasive Plant Council. The new educational standards have the backing of the influential National Governors' Association and the Council of Chief State School Officers, and are being part-funded by a grant from the Bill & Melinda Gates Foundation. Jamie Highfill, a teacher at Woodland Junior High School in Arkansas, told the Times that the directive was bad for a well-rounded education. "I'm afraid we are taking out all imaginative reading and creativity in our English classes. "In the end, education has to be about more than simply ensuring that kids can get a job. Isn't it supposed to be about making well-rounded citizens?" Supporters of the directive argue that it will help pupils to develop the ability to write concisely and factually, which will be more useful in the workplace than a knowledge of Shakespeare. I know a lot of people hate Catcher in the Rye, but it's one of my favourite novels. And I think this is such bs because both of these novels are cornerstones of American literature. And if you're so dense that you don't know how to write appropriately in the workplace by the time that you're an employed adult, then maybe you shouldn't be writing in the workplace at all. What are your favourite books from school, ONTD? UPDATE: Apparently this article mistakenly sourced a satirical artical originally published in the Washington Post. There has been no official change made to the US school curriculum, but if you'd like to read more about the Common Core English Language Arts standards that are mentioned here, click here. Thanks to nicholasdee for the update!